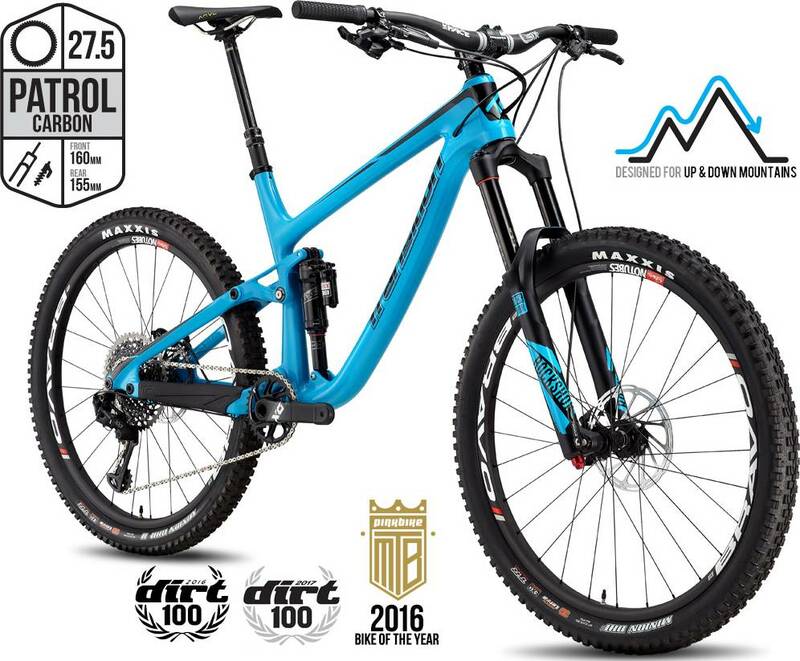 The 2017 PATROL CARBON Complete Kit 1 is an enduro bike made by Transition. The 2017 PATROL CARBON Complete Kit 1 is easier to ride up hills than similar bikes. Similar bikes won‘t keep up with the 2017 PATROL CARBON Complete Kit 1 while riding downhill or sprinting.